Rolling hills, rugged coastline, castles, saints and two US Presidents. It sounds like the recipe for a new blockbuster movie but in fact these are just some of the ingredients making up the tourism offering in Mid and East Antrim. The borough is home to a host of activities which take the in-the-know tourist off the beaten track, an array of hidden gems and plenty of local characters with stories to tell, all waiting to be discovered. All this has been finding a willing audience with the growing number of tourists who are heading to the borough and the local council is determined to make sure more potential visitors get to hear about it. Mid and East Antrim Borough Council’s new tourism brand, Shaped by Sea and Stone, is at the heart of this plan, according to chief executive Anne Donaghy. 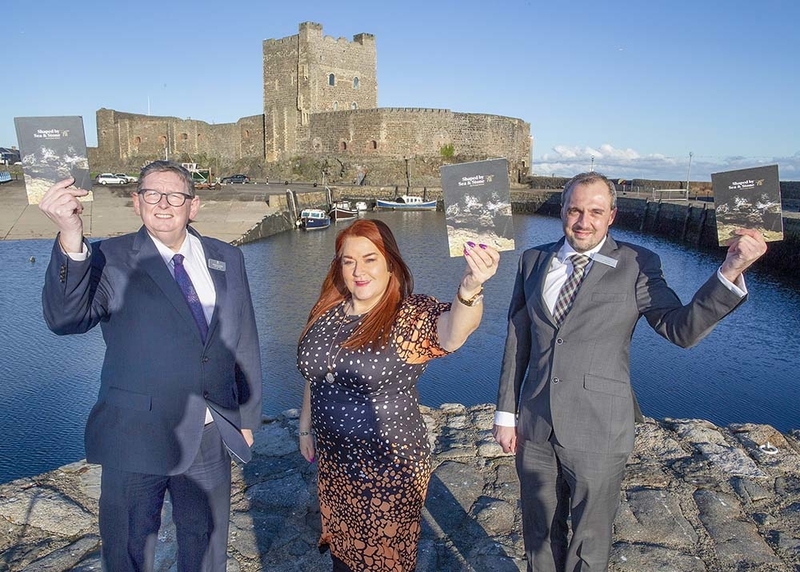 “We want to tell the world about our fantastic attractions - from The Gobbins to Carrickfergus Castle, Slemish Mountain to the Causeway Route – and our new brand does just that,” she said. “It gives us the chance to showcase the hidden gems throughout the borough, as well as the local people who make this place a great destination to visit. Although word-of-mouth will play a big part in getting the message out about the borough, the council is using an array of tools to make sure the world knows that Mid and East Antrim is a destination which should be at top of everyone the bucket list. A destination website has been developed, social media campaigns and the visitor guide has been given a new look. The council is also working collaboratively with local government, Tourism Ireland, Tourism Northern Ireland and the trade to further promote the area. “By promoting the fantastic tourism products we have in Mid and East Antrim, whether it’s an attraction, accommodation or food and drink, we can encourage visitors to stay longer and spend more in our borough” Anne Donaghy said. “To do that, our tourism team is on the road all over the world to promote the borough at tradeshows and to encourage visitors to come and stay with us. “While the headline attractions are obviously big sellers, the less well-known, untapped side is also part of the offering. We know there are countless hidden gems in this region but we don’t want to keep them to ourselves. “We’re determined not just to tell the world about Mid and East Antrim, but to make sure everything is in place to ensure they have a fantastic time when they’re here.